Our oral surgery practice is located in the heart of Bethesda and Chevy Chase area, just minutes away from Washington DC. If you are looking for expertise in oral surgery, results that you’ll love, and an overall remarkable experience, you have come to the right place. Over the last 20 years, we have earned the respect and admiration from thousands of patients from the greater Washington DC area as well as across the country. As a board-certified oral and maxillofacial surgery practice, we specialize in teeth extractions, dental implants, bone grafting, and surgical management of other conditions effecting oral and facial regions. Whether you have been referred to us by your dentist, friend, family, or have found us through online search, rest assured that you have the full support of a professional team who will take care of you with the warmth and the personal touch that you deserve. 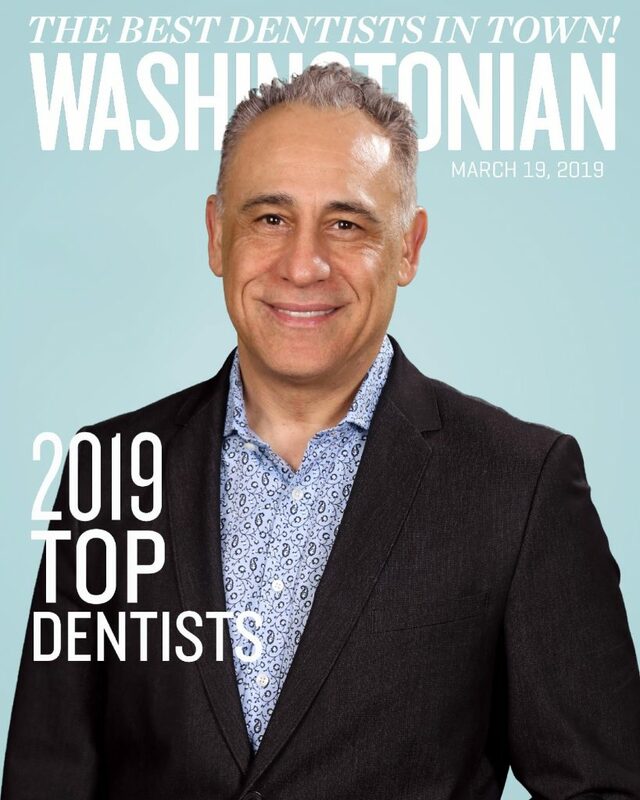 We are one of the best rated oral surgeons in Bethesda, Chevy Chase, and the Washington DC metropolitan area and recognized as top oral surgeon in the Washingtonian Magazine, RealSelf, Dr.Oogle, and most importantly in the community. 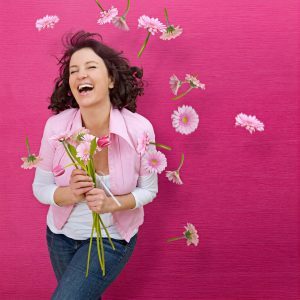 Our goal is simple: Provide you with great results and remarkable experiences from your first call to your last visit. Our on-time appointments, friendly and helpful staff, and comfortable surroundings, along with a caring surgeon will make your visit a remarkable experience. 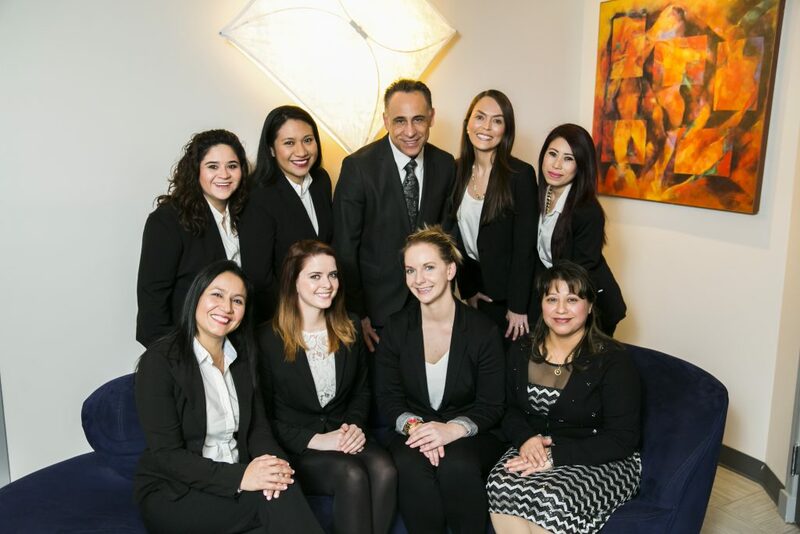 As one of the highest rated and respected oral surgery practices in the Washington DC metropolitan area, we deliver on one promise: Taking care of you like our own family. 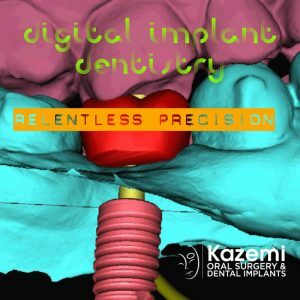 With digital diagnostics and planning, we can complete teeth extractions, dental implant placement, exposure of canines, and corrective jaw surgeries safer and more predictably than ever before. We use a range of technologically advanced tools and techniques to make your procedures safer, easier, and less invasive while increasing predictability of your results. Our office and entire team specializes in oral surgery and periodontics procedures hence offering you the expertise you deserve. 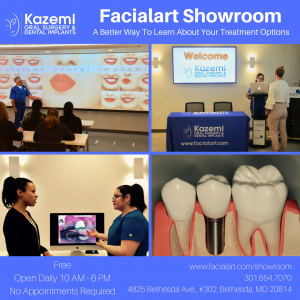 Dr. Kazemi is a diplomat of the American Board of Oral and Maxillofacial Surgeons. Our unique oral surgery and periodontal collaboration offers patients complete solutions for any surgical needs related to their teeth. Whether it is teeth extractions, dental implants, bone grafting, management of oral and facial injuries or pathology, management of gum disease or recession, or list of other specialized surgical procedures, rest assured you will be well cared by our trained experts. Recognized by the community as one of the best dentists and oral surgery practices in the Washington DC Metropolitan area, you can rest assured on the level of personalized care and expert treatments. Whether it is for an emergency appointment, questions on your recovery, or needs on any aspect of your treatment, we are there for you. Our 24-hour availability, quick response, detailed instructions, and extensive online information will offer you the peace of mind knowing we are there when you need us most. We offer full range of dental implant treatments for single or multiple missing teeth. 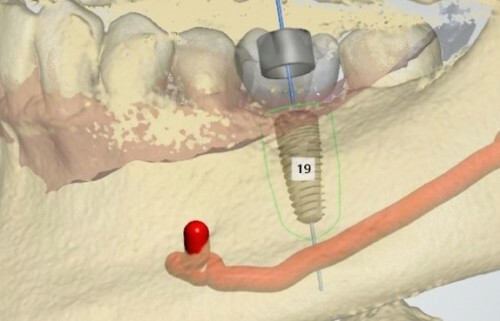 These include implants in the smile zone, partially missing teeth, all-on-4, fixed hybrids, fixed implant-supported bridges, and removable overdentures. Innovative techniques, minimally-invasive approaches, and focused expertise for all teeth extractions. These include impacted or malpositioned wisdom teeth and extraction of damaged teeth from decay, gum disease, or fractures. 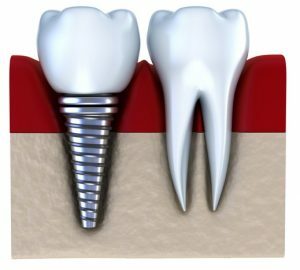 Management of all dental implant complications using advanced diagnostics, techniques, and team approach to help you do it right the second time around. Canine exposures, extraction of primary or permanent teeth in kids, corrective jaw surgery, and placement of temporary anchorage devices to help your orthodontist achieve a better result. Tooth loss, fractured jaw bones, or cuts to the mouth and face are especially difficult for a person to cope with. We offer 24 -hour emergency support and expertise to manage all oral and facial injuries. Treatment and biopsies of lesions, ulcers, masses, cysts and other oral pathology conditions.